The 10 Best Sports Bars in Pennsylvania! Few states love their sports and their beer as much as Pennsylvania, and when you combine the two, things get even better. 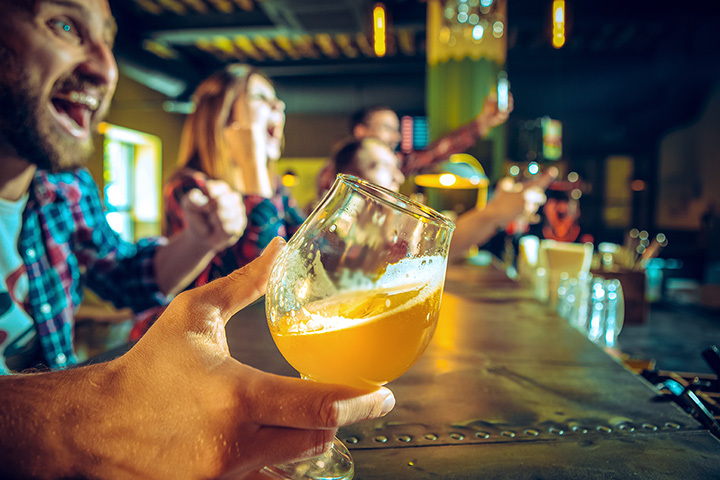 From the Super Bowl to the World Series, and every regular season game in between, check out the best sports bars of Pennsylvania! For more than 50 years, Patte’s has played host to some of the biggest sports fans in Pennsylvania. Today, they continue a tradition of quality and community that knocks it out of the park, win or lose. With famous wings and a track record of excellence, P.J. Whelihan’s is a solid choice for watching a game. With events, frequent drink specials, and excellent staff, this Allentown location is an easy add to our list. With in-house smoked meats and 21 beers on tap, Tailgatez would be worth a visit, even if they didn’t broadcast any sports! This Somerset location also manages to maintain a kid-friendly environment, so load up the family and cheer on your team! JP’s is down and dirty, and they simply wouldn’t have it any other way. Maintaining a sense of both humor and community, this South Williamsport hangout is great for a meal, a drink, a game, or all of the above. A huge beer list and great daily specials make Underdog a must visit. Twenty-one screens situated throughout the establishment help keep your eye on the game and a smile on your face. A Sports Bar of a slightly more refined caliber, Founding Fathers is a great choice for Philadelphia locals. Try the Super Fries, with braised ox tail, or the Connie Mack, a veggie burger like no other. Whether you’re nuts for NASCAR, or bananas for baseball, the Sandwich Factory is the place for you. This Neffsville location has great food, and one of the best staffs around, for a good time, every time. Whether you visit to catch a game, or for some great live music and dancing, Pasquale’s is a seriously good time. This Levittown outlet will have you feeling like family from your very first visit, so don’t be shy even if you’re flying solo! With bi-weekly poker nights and pool tables, Screwballs is a great place to both watch and get in on the action. Be sure to try the fish and chips! People from Pittsburgh sure do love their sports, and Pittsburgh Sports Bar is second best to being in the stadium. Visit for attentive service, good pub grub, and equally enthusiastic fellow patrons! View more Pennsylvania Bars and Saloons.